The LG G6 was announced around three weeks ago, but as is typical with phone launches, we haven't heard much regarding availability aside from acknowledgement from all four major operators that they will be carrying the phone. Several carriers have now revealed details on their G6's pricing and availability. We'll continue to update this list as more info comes out. Availability for the G6 on the Death Star has come out. You'll be able to pre-order it starting tomorrow, March 17th. It'll cost $24/month for 30 months for AT&T Next customers, or $30/month over 24 months for AT&T Next Every Year subscribers. 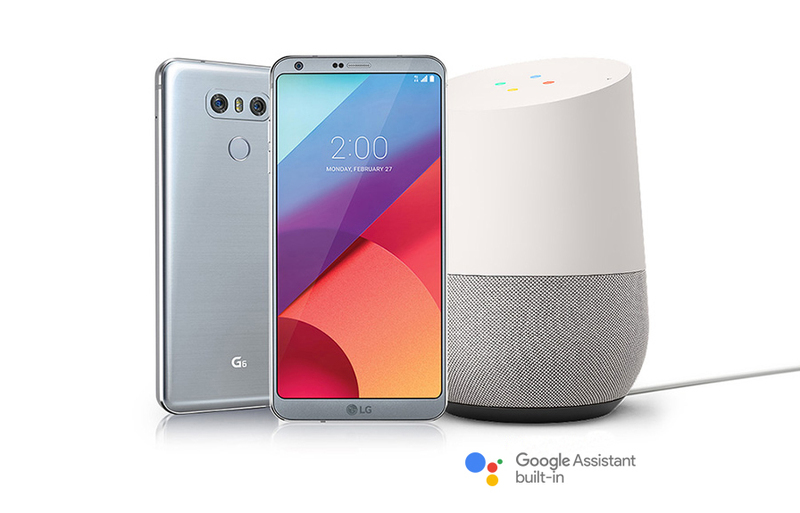 If you purchase your G6 before April 30th, a Google Home will be thrown in free of charge - one of the better device promos we've seen from LG. Personally, I'd still have preferred the 200GB microSD card that came alongside the V10, but hey, free is free. AT&T is also featuring some other deals: you can get a free LG G6 (after monthly credits) if you open another AT&T Next line, as well as an LG Watch Sport for $49.99 on a 2-year contract. The G6 will be the first device with HPUE tech inside, which will increase coverage and support faster speeds. At $29.50/month for 24 months (adding up to $708), Sprint's pricing is on the higher end, but it may be worth it to you if you've currently got Sprint and could use a boost in speed and coverage. Sprint is also offering a free 49-inch 1080p LG TV (valued at $349.99) to customers who pre-order, as well as a free Google Home through May 11th. Pre-orders will begin on March 17th, and its official launch is scheduled for April 7th. You'll be able to take advantage of the same free Google Home offer that was mentioned above, but T-Mobile doesn't appear to have any of the carrier-exclusive benefits that some other carriers are touting. The smallest of the five carriers listed here also has the lowest pricing, as well as an interesting promo. The press release's wording is a bit unclear, but new customers will be able to snag a G6 at $10/month for 30 months, making the phone just $300 at the end. Alternatively, if you pre-order the phone, you'll be able to pay $597.60 in full and receive a US Cellular promotional card in the amount of $297.60, making the price the same $300. Keep in mind that you get a free Google Home as well. Normal customers should still have to pay $597.60, though, which comes out to $19.92 per month over 30 months. That's still lower than any other carriers' pricing. Pre-orders will begin on March 24th. Big Red is pricing the G6 at $672, which works out to $28 per month for 24 months. New customers will also be able to get a free 43" LG Smart TV, which is valued at $349.99. Both new and existing customers can also get a $200 trade-in towards the G6 for select phones; these include iPhones going back to the 6, Samsung Galaxy phones from the Note 4 onward, LG phones from the G4 onwards, the Moto Z line of phones, and more. On top of that, you can also get Verizon's $650 "Switcher" promotion if you're coming from another carrier, as well as a FiOS promo that is valued at up to $500. If you want your G6 ASAP, Verizon is the way to go. Pre-orders open on March 17th, and the official launch is supposedly March 30th - a full week earlier than the official April 7th date.